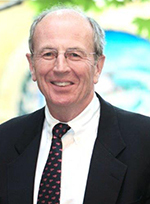 Dirk Sigalet, QC, now retired, began practicing law in 1973 with a Vancouver law firm. Soon after he returned to his home in Vernon to raise a family of three and start a general practice law firm with John Maguire. The local Silver Star Ski Resort and City of Vernon were major clients of the firm. Dirk volunteered as a Director with local not-for-profit boards—Vernon Social Planning Council, Canadian Disabled Ski Championships, Vernon High School Rowing, Vernon Jubilee Hospital, North Okanagan Community Futures Corp—as well provincial boards for Continuing Legal Education, the Law Foundation and the Law Society. Dirk practiced in association with one colleague, Jamie MacArthur. He enjoys a practice restricted to Business and Commercial Law, Administrative law, Wills and Estates and not-for-profit organizations. Working with the MacIsaac Group, Dirk Sigalet added to that tradition by assisting clients in the Vernon and surrounding areas with their motor vehicle accident, ICBC and personal injury claims. The MacIsaac Group of Law Firms’ specialized personal injury lawyers provide you with expertise and the best possible legal services for ICBC and personal injury claims. If you have been injured in an accident through no fault of your own, give us a call. We can give you the advice you need.